AGM is on Wednesday, Aug. 30th at the Halifax Central Library. Read more for the AGM agenda or if you are interested in becoming a director. Most of this email is about the upcoming AGM but here is a quick update on the space. We have some plumbers coming in this week to fix some deficiencies and install a sink. Once that is done we can request another inspection to get our occupancy permit. Shawn, along with a number of you who have volunteered, have been getting other parts of the space in a working state. 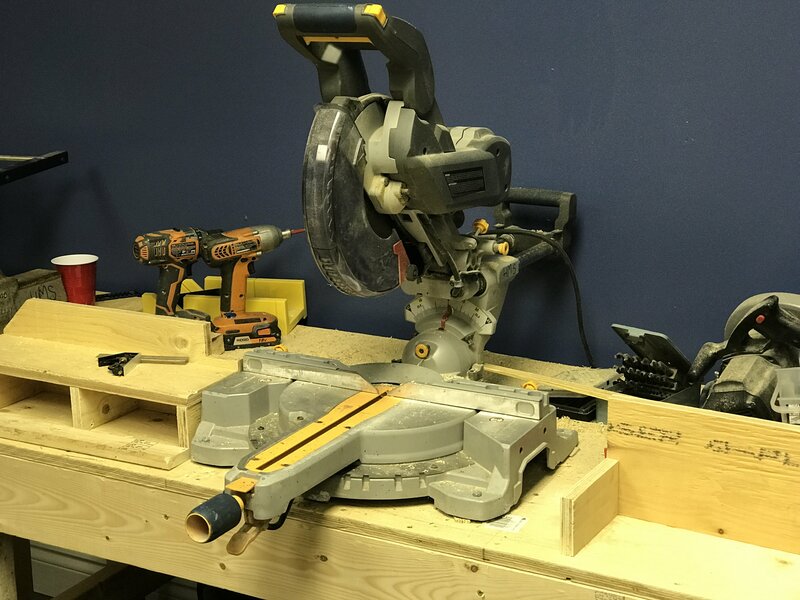 The carpentry shop has some newly built benches, tools are being repaired, and a bunch of tools and materials have been donated. We hope to announce official openings very soon. If you want to help out in the meantime keep a watch on Facebook or the Google Group for announcements about when we’ll be at the space working on stuff. Here is what our front entrance will look like as soon as we can get a full sign made. The other photo shows a donated sliding mitre saw with newly built bench and extension wings for the saw. We are looking to fill 3 vacant Halifax Makerspace director roles. Now that we are back in a physical space, the director roles are more important than ever. Any Core Member whose dues are paid up is eligible to run. These positions are two year terms and will be filled by election by Core Members (whose dues have been paid) in attendance at the AGM on August 30. The three new directors will join Adam, Peter, and Shawn who all have one year left on their terms. Director duties are to run the Halifax Makerspace Society per the NS Societies Act. For a more technical description, see that document. For a less formal, and more useful description, directors will be expected to spend a lot of time running the Makerspace. At a minimum, that means a directors meeting or two per month. It means directing the long-term trajectory of HMS. It can also mean dropping off cheques and dealing with plumbers and daily communication about emails and problems that crop up. It also means being at the space to host Open Nights and teach or assist with classes. It means fostering a community that will clean the bathroom, and it means cleaning the bathroom when it doesn't get done. 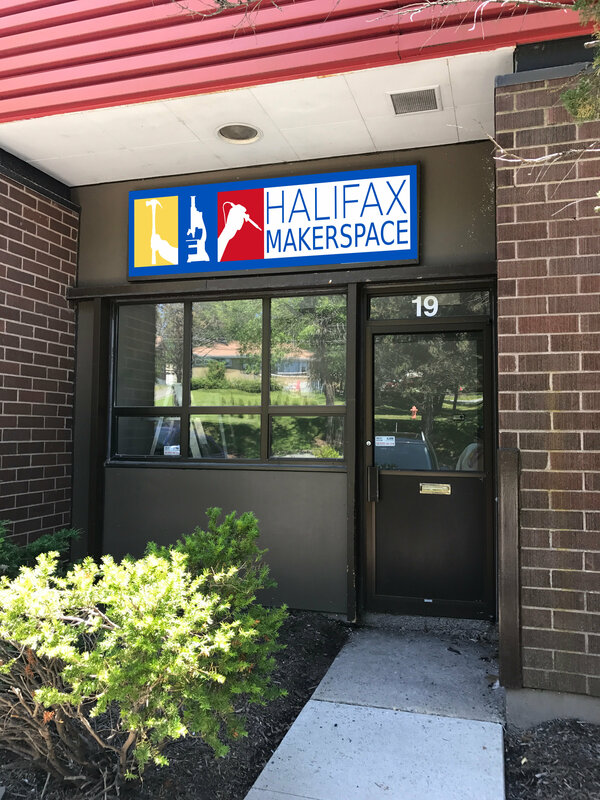 To run for a director position, email info@halifaxmakerspace.org, stating your intent, and, optionally, include a short statement and photo that we will publish on our website and/or social media channels. Deadline for the statement and photo is August 23, but you can put your name forward for a directorship as late as the AGM. If you committed to becoming a member but still haven’t submitted your dues payment you can do so at: http://halifaxmakerspace.org/dues . Only Core Members who have submitted their initial $50 signup + $50 first month will be eligible to vote at the AGM.